Virtual reality has no doubt been the hottest topic of discussion among marketeers this year. Although the technology is still in the early stages, the enormous potential of the trend is already evident from a marketing perspective. The first best practices in this year show how VR can be used to benefit brands. The fact that content is king seems to have reached the marketing departments: according to a survey from Smart Insights, nearly one third of participants considered it to be the most important marketing trend of the previous year. However, along with the increasing relevance of content, there is a growing need to present this content on new channels: as shown in the report “Content Marketing meets Virtual Reality” from YouGov, every sixth German already owns a virtual reality device or is thinking about buying one within the next year. These early adopters are particularly interesting from an entrepreneurial perspective, since they have a greater tendency to be inspired by new and innovative products than the average consumer. In addition, virtual reality gives marketing managers the opportunity to push brand awareness and engagement: as a result of the special experience enabled by a VR headset, users are able to have a more intensive, emotional and consequently more sustainable relationship with content and products. Merrell has taken a very creative approach to show how the integration of virtual reality can be successfully implemented as a marketing tool. To promote a new hiking boot, the outdoor clothing brand enables potential consumers to take part in a virtual hike through the Dolomites. The special feature: by using a motion capture system in connection with VR goggles, daredevils were able to take a route that included actual suspension bridges and rock-faced cliffs. Another best practice is Happy Goggles from McDonald’s. Happy Goggles is the name of a VR headset, which can be completely assembled from a Happy Meal box and was launched as part of a mini-game in Sweden. The game can be played via smartphone, which is connected to the headset. Happy Goggles has made quite an impact on social media – the case film received almost 800,000 views on the Swedish YouTube channel. And Marriott International took one further giant step – namely from 3D to 4D. The hotel company toured eight cities in the USA and ‘teleported’ users to various travel destinations with a telephone booth-sized box and an Oculus Rift headset. The box was thereby able to simulate weather conditions like wind, rain or sunshine. Marriott was also able to present positive results with the marketing stunt: as reported by Michael Dail, Vice President of Global Brand Marketing, 69 percent of the participants announced that this had been their very first contact with virtual reality. More than half were interested in a similar VR experience in the future. The potential of implementing virtual reality as a marketing tool can’t be denied. A current survey on developments in digital marketing from Adobe shows that marketing managers increasingly depend on new technologies – with 13 percent of companies already using VR today. 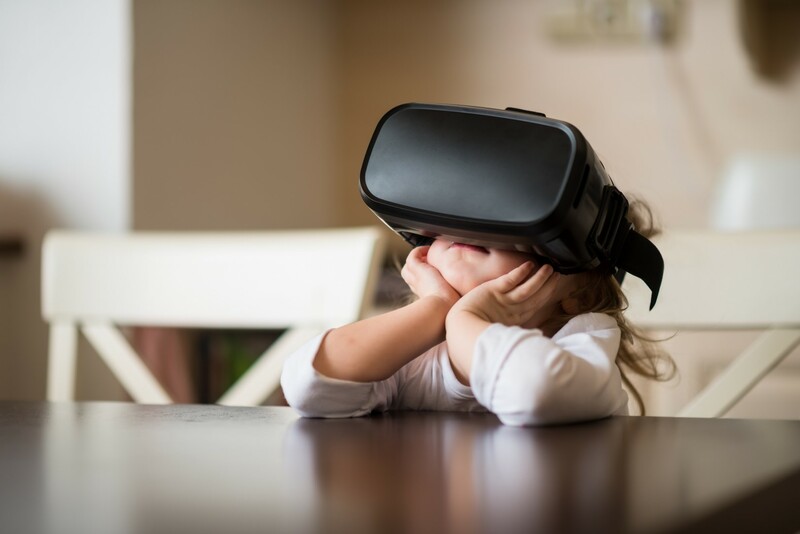 The intensive experience enabled by immersion – taking the sensorial plunge into the virtual world – opens up previously unimagined opportunities in storytelling, which brands will also want to take advantage of in the future. Out of necessity, the technology will also undergo continuous development, because the competition won’t be resting either: holographic displays and micro-structural screens, which enable the three-dimensional projection of content entirely without the use of additional devices, are already in the pipeline. So it remains to be seen, what 2017 has in store.